The R&S®VSE-K10x options cover 3GPP LTE and LTE-Advanced in-band measurements. The R&S®VSE-K100/-K102/-K104 options provide convenient analysis due to automatic detection of modulation formats. 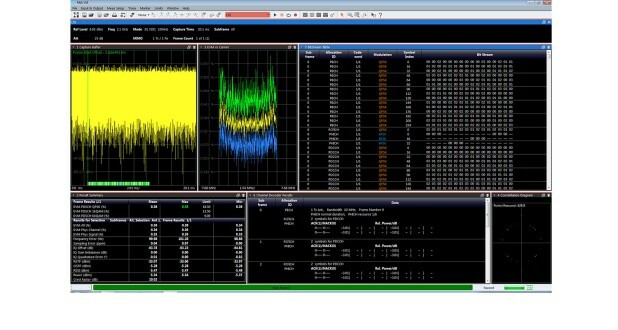 Each signal subframe is analyzed and the QPSK, 16QAM and 64QAM modulation formats plus the length of the cyclic prefix are automatically detected and used in the analysis. The cell identity can also be automatically detected. This minimizes the number of settings users have to make. There are lots of good reasons for trading in your current T&M equipment for brand new products from Rohde & Schwarz.